Top Teenage Travel Advice: Pack Your Bags & Discover India! Top Teenage Travel Advice: Pack Your Bags & Discover India Now! Are you looking for some top teenage travel advice? We were delighted to meet Alexandra Gallagher when we held our San Francisco Guest Evening earlier this year. At fifteen years of age, she has an incredible passion for travel and adventure – not to mention a wonderful knowledge of Bollywood songs from the film industry in Mumbai, India! 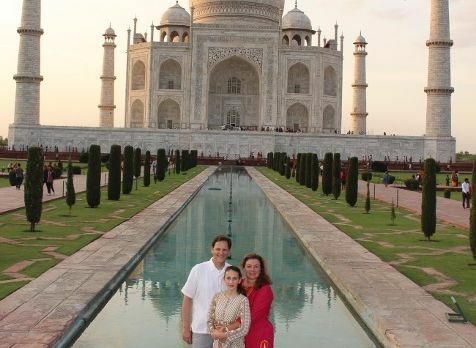 We asked Alexandra if she would share her experience about her Enchanting Travels India tour when she traveled with her parents, Maite and Mike, in 2015. She kindly obliged us with her top teenage travel advice. Over to Alexandra! There are some people who never feel the urge to leave the house. Content to stay where they come from and finding enjoyment relaxing on the familiar couch they sit on, they spend each and every day doing the same thing, at the same place, and same time. Then there’s the rest of us: the adventurers who can’t sit still, the ones who wish to explore each and every nook and cranny of the planet, searching for the new and enlightening experiences it offers. The ones who always keep their passports on them – just in case. “Wow, I’m in India…” is a sentence I would never in a million years think would come out of my mouth. It was around 1:30 am when my mom and I arrived at the Bengaluru International Airport. Almost instantly the humidity magnetized to our cool skin. My dad was waiting for us outside. He had embarked on the India trip about a week prior to our arrival for reasons of work and business. Half asleep, we hopped into the van, reunited, and made our way to our hotel. Our magical journey to India had begun. My first outing in India was quite the interesting one. Even from our hotel we could hear the honks, hustles and yells from the street. My family and I often travel to Europe in which we tour cute little cobblestone streets, cozied up in our warm little jackets and sipping a hot cocoa. India was quite the opposite. I remember stepping out of the car and feeling everything at once. It seemed as if it was the land of every possible form of contrast—a clash of color and a cacophony of sound. I had no words. In fact it was a feeling so strong that I was scared myself and began to be worried. After a quick stroll down Commercial Street, it had all set in. I began to appreciate the differences around me and I also began to understand how much of a lucky girl I am for being able to have the opportunity to experience the gems and treasures of the world called India. Our second stop was Varanasi. I would have to say that it was one of the most spiritually enlightening places I’ve been to in my life. It’s a location that many aspects of today’s society come from. One of the very rare and treasured places where morals and values are still held high in spite of the ever growing need for westernization. It’s a region with one of the oldest religions. We had visited the Ganges River once at night when we had arrived and another time during the early dawn. The first time I ever came across the Ganges River I instantly fell in love. Ganga Aarti was the night ceremony we watched from a boat on the Ganges. It was the kind of experience that makes the hair on the back of your neck stand up. People gather everyday on the steps and in the many boats that dock beside the Ghats, for such a blessing experience. The music, ambiance, and clash of colors were something not even the wildest dreamers could image. In complete synchrony, seven priests swung around huge pots of smoking incense and then immense brass lamps with 108 burning oil wicks. After a one hour flight to Delhi from Varanasi and a six hour drive, we had arrived at the home of the iconic Taj Mahal, Agra. Definitely one of the highlights of our trip was visiting the iconic symbol of India. The smooth, almost glistening stone, of the building was almost like a dream. Standing at The Great Gate (Darwaza-i rauza), the red sandstone provided a spectacular welcome to the grand spectacle. It’s even better in person. I’ve always looked at it in photos, but seeing it personally just blew me away. I would have never believed that I would even come face to face with it. Its beauty was overwhelming and cannot be described with words. Never in my wildest dreams had I thought that I would ever visit this wonder of the world. Top teenage travel advice: Elephants and feasts! Jaipur would have to be one my favorite places out of our entire trip to India. The reason that was so is because we had the very special opportunity of riding elephants. I really enjoy being around animals and having the very unique and special opportunity to interact with one is absolutely spectacular. During our excursion we had the opportunity to eat an exquisite three course meal as we lounged in plush chairs staring off into the gorgeous colors forming in the sky. We fed the elephants bananas and we took a royal ride around a small forest on plush comfortable pillows as if we were a king, queen, and princess. It is definitely an experience I will never forget as it was one of the moments in life where it made me appreciate the fact that I had an opportunity to travel with such a pleasurable company that truly caters to the heart’s true desire for travel. Our experience was so enchanting that it made me not want to go back home. It’s nearly been a year since my family and I embarked on our magical trip to India. The experience was and still is far too difficult to put into words since its evoked feelings one can only experience while on the trip itself. Even though I am young and I have yet to experience much in my life, I believe that our family trip to India with Enchanting Travels was an adventure of a lifetime, it’s one I will never forget. Your expertise and personal love for travel truly makes travel the wonderful, beautiful thing we all know. There are not enough words to express how much thanks my family and I would like to give to everyone at Enchanting Travels. 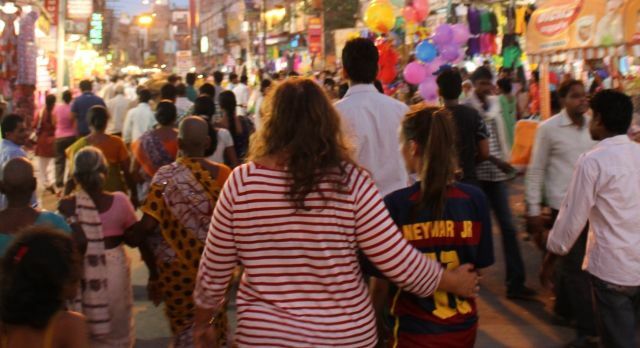 Thank you Alexandra for your top teenage travel advice and sharing your family India tour experience with us. Enchanting Travels is delighted to share the world with travelers of all ages. We work with all of our guests to make sure that your private tour is all about you and your interests. We look forward to welcoming you on your next adventure!